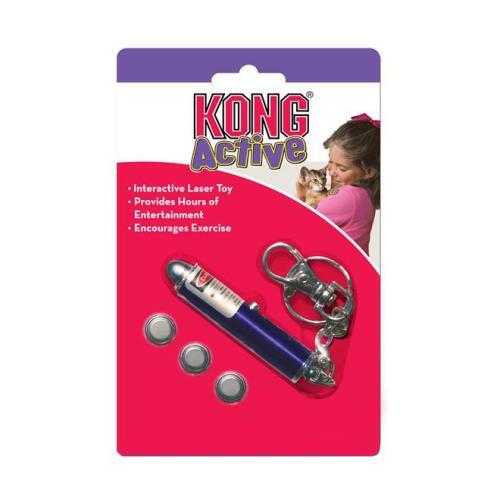 The KONG Laser Cat Toy helps facilitate interactive play sessions and provides endless fun. Point the laser at the floor or wall and let your cat chase and attempt to capture its elusive prey. Point the bright laser at the floor or wall and watch your cat try to catch her elusive prey!